Picking the right drone can sometimes be confusing. 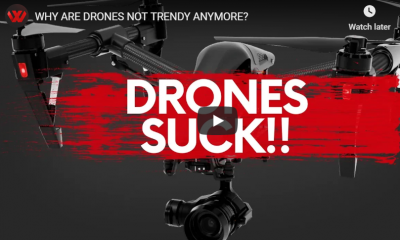 These days, numerous releases and similar features make drones harder to compare. The market is saturated with drones that have the standard 4K shooting capability, but bitrates and gimbal stability can play a huge factor in usable footage despite impressive paper claims. 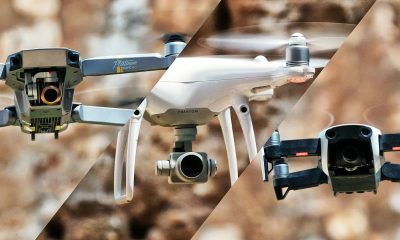 Here is a list of the best drones to help consumers, professionals, and beginners distinguish the right drone for their needs. These drones are aimed at the general public looking to get professional results at an acceptable price. Consumer drones are your everyday drones that can shoot high-resolution photos and record cinematic shots. 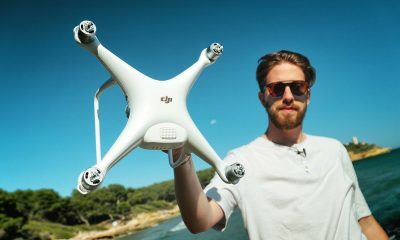 These drones listed here are all 4K capable, and their quality resembles professional movie footage but at a fraction of the cost of a professional drone. If you are looking to spend less than $1800 for a ready to fly drone that can operate in everyday situations, then these are the best drones for your needs. 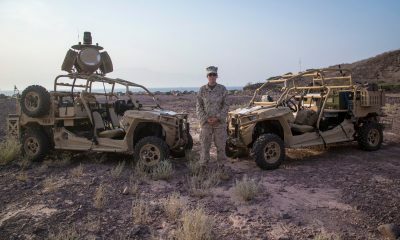 The first two versions have an upgraded camera, side sensors, and an ability to interchangeably switch from 2.4 GHz to 5.8 GHz. The live view you get will be in 1080p full HD. The P4P (+) is equipped with new side sensors for greater flight stability. 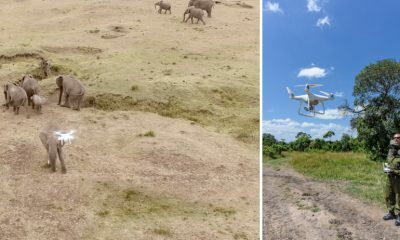 Most drones these days have the standard 4K video, but the Phantom 4 Pro (+) took it to another level by increasing the video bitrate to 100 Mbps, so that means more details in your videos. DJI has also increased the flight time of this drone to 30 minutes. The camera for the price range is absolutely unbeatable since it has close to 12 stops of dynamic range; it comes equipped with a mechanical shutter, a 1-inch sensor, and it will be able to shoot up to 20MP. The mechanical shutter gives the user more control for amazing photography. Also, numerous intelligent flight modes help users in nearly all scenarios. You can learn more about Phantom 4 Pro Camera settings here. The new DJI Phantom 4 series comes in two versions: DJI Phantom 4 Pro and the DJI Phantom 4 Pro +. The only difference between the two is the controller; the plus version comes with a built in screen on the controller. The screen is bright enough for mid-day use, but it’ll cost about $300 more. DJI has also released a lowered priced version called the DJI Phantom 4 Advanced. This version is still placed at #1 since it has the same features as the Phantom 4 Pro, but it lacks the side sensors, the back sensors, and it only runs on the 2.4 GHz channel. The camera and everything else that makes a DJI product great are still there. The DJI Phantom 4 Pro (+)/ Advanced placed #1 in the best drones list for consumer drones because of its high bitrate video capability, 1” mechanical sensor, and 30 minute flight time and overall performance. The side sensors on the P4P (+) only work in beginner and tripod mode. In most scenarios, the side sensors are useless, so the Advanced is something to definitely consider. If you get the Phantom 4 Pro +, then you are limited to the DJI app only; this means that no 3rd party apps like Litchi will run on the built-in screen until further updates. This small 4K drone has gained the reputation as one of the best drones ever. The pictures and video quality on the Phantom 4 Pro series are better, but the Mavic’s sheer size can make this number one for some people. Depending on your needs, the p4p (+) and the Mavic are interchangeable for first place. The compact frame makes this one of the most powerful UAVs, especially for its $999 price tag. The Mavic Pro can also be flown with just a phone app, but the controller adds more control and flight range. DJI created the Mavic’s controller to be foldable in design, and it has a live LCD status display. The Mavic can go up to 4.3 miles in range with its OcuSync technology, and its 3830 mAh battery is rated to power the drone for up to 27 minutes. Not only can the Mavic shoot great 4K videos, but it can also go 40 mph in sports mode. The vision sensor system works excellent for avoiding collisions and stable indoor flights. Even though it’s small, the Mavic is equipped with dual forward and downward vision sensors. The DJI Mavic is one of the most stable drones in hover mode. The DJI Mavic Pro placed #2 in the best drones list for consumer drones because of its price, performance, and portability. This may look like a DJI drone, but it’s actually made by another company. The X-Star Premium is a 4K fly ready drone at only $799.00, but you still need a mobile phone to access its full flight capabilities. It has a flight time of 25 minutes, and it can take photos at 12 MP. GPS/GLONASS keeps this drone stabilized and secure. It comes with a 64 GB microSD card, 1-hour fast battery charger, and a premium hard case. Asides from the great accessories, its footage is stabilized with a 3-axis gimbal. You can also swap out its camera with different camera modules. The X-Star Premium comes equipped with different flight modes such as orbit and waypoint. Autel showcased their upgradeable 20 MP camera with a 1 inch CMOS sensor and their FLIR Duo dual thermal camera module at CES 2017, but it has yet to officially release. If those camera options become available, then this can easily be one of the best base model drones for its price and upgrade capability! The X-Star Premium placed #4 in the best drones list for consumer drones because of its price to performance ratio despite their recent layoffs. Great customer support. They operate 7 days a week through email, phone, or live chat. Though they had a recall during their first release, the GoPro Karma can still serve as a capable drone for GoPro users looking to integrate their action camera with a compatible drone. It comes with a backpack, ready to fly controller with a built in screen, and a removable gimbal called the Karma Grip. You can take your GoPro action camera and combine it with this drone to work, or buy it all in a bundle. GoPro has also released a harness for their older GoPro Hero 4 action camera, so this shows that other cameras may be capable with the Karma. If a new GoPro releases before another GoPro drone, then the Karma may still be capable of being upgraded with a new action camera. 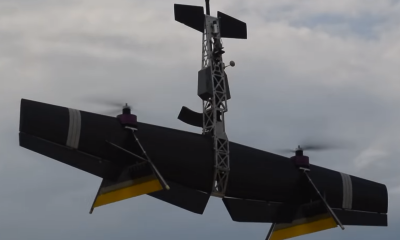 This drone can fly 35 mph and travel a little less than 2 miles in distance. Its Hero 5 camera can shoot in 4K at 30 FPS, and it can shoot 12 MP photos. It also has some flight modes such as selfie and orbit. The ability to shoot on foot and in the air with the same camera means easier and consistent video editing. If you are looking for a drone that can use a GoPro Hero 5, then this drone is the one to get. This drone placed #5 in the best drones list because it comes with a removable gimbal and a GoPro Hero 5 action camera. 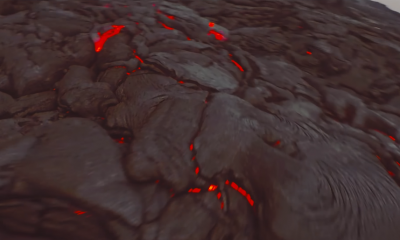 Lens FOV: (Hero 5) It has a fixed lens, but it has 5 different FOV settings. These drones are geared for professionals who aim to take their aerial footage to the next level. What usually separates these types of drones from your everyday consumer drones are the cameras and unique features. Some of these drones can even carry DSLRs, mirrorless, and other small cinema cameras. These drones are best used for video production and professional photography. Professional drones cost more, they are heavier, but they also give better videos and photos than any other drone. If you thought 4K was good then wait until you see 5.2K! This drone can shoot in 5.2K in CinemaDNG at a resolution of 5280 x 2972. The Inspire 2 is fast; it can go 0 to 50 mph in 5 seconds! Its maximum speed is 58 mph. Since this drone has some major power, dual batteries are used to provide a 27 minute flight time. It also has a self-heating battery system in case you need to fly in cold weather. You can also change the camera on this drone by swapping it out with an upgraded module like the DJI Zenmuse X5R, and this can give the drone 12.8 stops of dynamic range.This professional drone also has a forward and downward vision system, an infrared sensor for obstacles above the drone, and its obstacle sensing system can work in the normal flight mode. A separate camera allows the pilot to view what is ahead while the main camera can independently rotate 360°. The dedicated FPV camera can also allow you to tap in a certain direction to set a flight route. The DJI Inspire 2 has many flight modes. One unique mode is called Spotlight Pro; this flight mode is a tracking mode that can locks onto an object like a moving car. This drone can also go as far as 4.3 miles. If you need a professional drone for a movie like footage, then the Inspire 2 is what you need. The combination of power and portability can be found in the DJI Inspire 2. The DJI Inspire 2 placed #1 in the best drones list for professional drones because of its obstacle avoidance system, 5.2K capability, and various flight modes. Buying more storage costs a lot! This hexacopter is for professionals looking to use DSLRs, cinema cameras, or even DJI Zenmuse cameras. The Matrice 600 Pro is perfect for professional aerial photography and film since it can be used as a full production cinematography rig with a separate gimbal. It supports Red Epic cameras, Hasselblad cameras, and higher end cameras. It has a maximum payload of 13.2 lbs. It’ll come with DJI’s A3 Pro flight controller, Lightbridge 2 support, and it works with the DJI Go app. It takes six batteries to operate the Matrice 600 pro, and it is designed that way for a safer flight. This, like the Inspire 2, is just a base model. You’ll still need to get a camera and an adaptor for different cameras. It comes as a kit, so assembly is required. It can travel up to 3.1 miles away and return a live 1080p view. 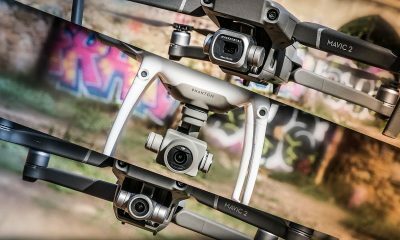 The Matrice 600 Pro is a little on the large side, but this drone will ensure a safe and precise flight for your professional camera and gimbal setups. 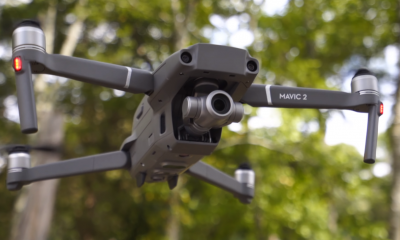 This was rated #2 in the best drones list for professional drones since it isn’t as portable as the Inspire 2, but the camera options are better on the Matrice. If portability isn’t an issue, then the Matrice can be your #1 choice. This is the original professional drone from DJI, but the version 2.0 has larger motors and longer landing gears to accommodate the micro 4/3 X5R camera. This means that you can get lossless 4K footage at a bit rate of 1.7Gpbs-2.4Gpbs. At 12.8 stops of dynamic range, you can shoot 16 MP photos. The camera’s lenses can also be changed. Even though this is over a year old, it is still as good as some of the other drones listed. This drone has a retractable leg design, and the camera can rotate 360°. It has a max speed of 40 mph, and its range is good for 3.1 miles. This comes equipped with VPS, dual GPS, and GLONASS for stable and safe flights. The Inspire 1 can be operated with two controllers. The flight time for the Inspire 1 Raw is 18 minutes. If you need high-quality footage at a lower price than the Inspire 2, then the DJI Inspire 1 with the X5R camera is a great option. The Inspire 1 v2.0 Raw placed #3 in the best drones list for professional drones because of its X5R camera capability and proven build design. This professional drone is from a company that is fairly new, but the PowerEye has some impressive features. This 4K drone comes with a Panasonic Lumix G camera with a 14mm f/2.5 lens, and it is compatible with different micro 4/3 lenses. Its interchangeable lens system even allows a 14 to 42mm zoom lens. The swappable lens design is supported by the self-balancing gimbal system. It has a similar dual camera system like the DJI Inspire 2; there is a front FPV camera and a separate micro 4/3 camera that can rotate 360°, and it can shoot 16 MP photos. The PowerEye is made with a collapsible design for travel convenience. This drone can travel up to 3.1 miles away. It also has a front obstacle avoidance system that can detect objects within 32 feet. The PowerEye has also won a 2017 reddot Award for product design. The handles on the sides of the drone makes it easy to carry around. A rolling case and a base station will also be included with the purchase of this drone. This drone also has vision positioning and sonar system to help it fly indoors. Two controllers also come with this drone, so one can be used to pilot the drone while the other one can be used for the camera. The legs are constructed with carbon fiber, and the landing gear is also retractable. The battery pack is actually two batteries in one. It is now for sale, and it will take 6-8 weeks to ship if you get it directly from PowerEye, but you can pick one of these up from BH Photo and Video. The PowerEye placed #5 in the best drones list for professional drones because of its interchangeable lens system and flight time. These are your everyday drones that are designed to be portable and convenient. Most of these selfie drones fit inside a large pocket. The flight times are often shorter than consumer drones, but they are small and fit in the palm of your hand. If you need an angle that a drone can only get, then a compact selfie drone is a perfect choice because it can easily capture group photos and even shoot HD videos. These types of drones are perfect for photos of oneself or large group shots. If most of your content is being posted on social media sites like Facebook or Instagram, then selfie drones are a great option. This is DJI’s smallest and lightest drone to date, and it is available in various colors. This selfie drone is compact and full of features. Not only does this drone have the smoothest video for its size, but it has obstacle avoidance and various shooting modes. When paired with DJI Goggles, this drone is capable of FPV flights. 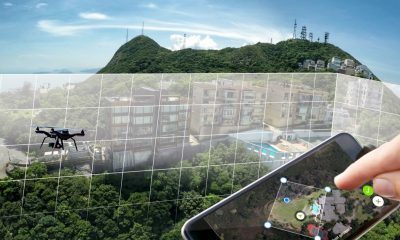 DJI also introduced the Panorama mode with the DJI Spark, so you can now take horizontal or vertical panorama photos. It also features a mode called Shallow Focus; this mode is similar to the iPhone 7 portrait mode because it allows the drone to focus on the foreground rather than the background of a photo. It has a maximum range of 1.2 miles, and you don’t even need a controller for it to operate. 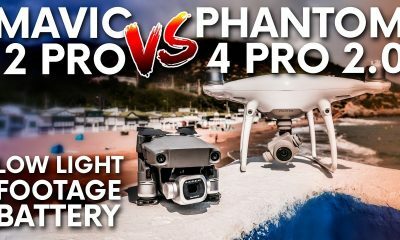 But how would Spark compare with Mavic Pro? The DJI Spark has facial recognition. This drone can be operated with simple open palm gestures, and it might even make you feel like a Jedi. You can control the Spark with the DJI GO app, or you can buy the optional $149.99 foldable controller to get more precise flights. The Spark also has the capability of going as fast as 31 mph with the controller. The Spark can also track objects. On top of the obstacle avoidance, the Spark comes with GPS and GLONASS to provide safe and accurate flight. It can record stabilized 1080p full HD videos and shoot clean 12 MP photos with its 2-axis mechanical gimbal. 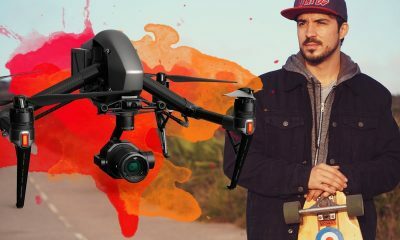 The DJI Spark placed #1 in the best drones list for selfie drones because it is easy to use, it has multiple flight modes, and it has the best gimbal for its size. The Hover Camera is an Apple exclusive product that is designed to be safe and portable. 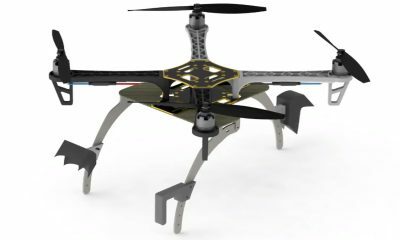 This drone has won a 2017 reddot design award and best of CES 2017 award. The Hover Camera’s rectangular shape is a unique design. It also folds flat like a laptop, so it is easier to store and carry than other selfie drones. The propellers won’t harm anyone because they are concealed and protected by the carbon fiber frame. You do not have to register this with the FAA because it is that lightweight! The camera can shoot in 4K, and it can shoot 13 MP photos. Electronic stabilization only works in resolutions of 1080p or lower. It has an auto follow mode that operates by tracking a person. This drone can also shoot a 360-degree panorama video by spinning around. The Hover Camera has a built in 32 GB memory that is permanent. It can travel a maximum range of 65 feet. This drone also has a mode called owner mode; this mode allows users to take selfies without the app. The Hover camera has the capability of running without a phone controller, and its facial recognition software will snap photos in response to hand gestures. The Hover Camera placed #2 in the best drones list because of its ultra-lightweight and safe design. This app controlled 4K selfie drone is ready to fly, and it is controlled by the Breeze Cam app. It has multiple flight modes such as pilot mode, selfie mode, follow me, orbit, and more. The purchase of a Breeze includes an extra battery and a carrying case. This mini drone can fly stable both indoors and outdoors thanks to its optical flow and infrared positioning sensors. The Breeze comes with an auto landing and auto return to a home safety feature. It can shoot 13 MP photos at a resolution of 4160 x 3120. There is an option to the electronically stabilize your videos, but it only works in 1080p. 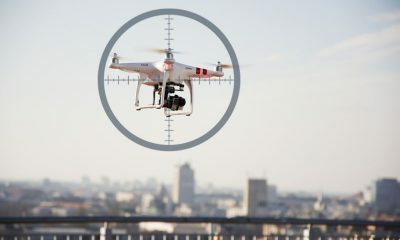 The app that controls the drone is optimized for sharing on social media platforms such as Facebook, Instagram, and YouTube. It can travel a distance of 328 feet. It also comes with a 6-month warranty. 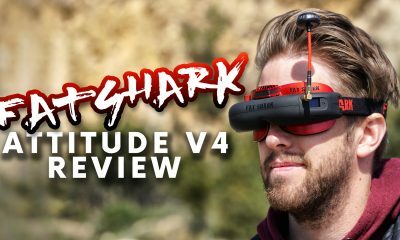 The Breeze can be combined with an optional controller and FPV goggle system. The controller resembles a PlayStation 4 controller, and you can attach your phone directly onto the controller for a live 720p view. This drone is best used for everyday selfie photos and group shots. The Yuneec Breeze placed #3 in the best drones list for selfie drones because of its 4K and FPV capability. This mini drone is a 2016 reddot award winner. Its arms are foldable, and it can shoot in 1080p. It comes equipped with GPS and GLONASS for stabilized and accurate flights. This drone has a Follow Me mode that allows the drone to follow the drone operator. Another mode called Follow Snap can be used to track a targeted person. The Xplorer Mini is controlled by the Xiro Xplore app, and it has a 720p live view. It has some safety features such as auto return to home, low power protection, and lost connection protection. It comes with a 1650 mAh battery. Its maximum distance is 328 feet. It can record 1080p full HD videos at 30 frames per second, and it is capable of shooting 13 MP photos at a resolution of 4208 × 3120. The Xplorer Mini also has electric stabilization, so the videos are smoother than other selfie drones. It can also shoot 60 frames per second at 720p. The Xiro Xplorer Mini ranked #4 in the best drone selfie list because of its built quality and camera capability. This 4K pocket size drone is powered by a Qualcomm Snapdragon processor, and it is so light that you don’t even need to register it with the FAA. Its arms can fold in for more portability. It can take off at the palm of your hand, and it can shoot 13 MP photos. At 1080p full HD, you get still get high-quality videos on a non-windy day. The Dobby has the ability to actively track an object. Its dual satellite GPS and GLONASS systems will give you a safe flight. Aside from the tracking, the Dobby also has Orbit and Auto Pull-Away video modes. Its electronic stabilization works similarly as the Yuneec Breeze; only 1080p and lower resolutions have image stabilization. The Dobby has 16 GB of internal memory. There is also an option where the Dobby drone can take a selfie and predict your age. This like all the other selfie drones is operated with an app, but the Dobby drone’s live view is 480p. The Dobby can also respond to voice commands, and you can adjust the flight path by moving your arm. The Zerotech Dobby placed #5 in the best drones list because of its 4K capability and 9 minute flight time. 480p live view. Most drones are at least 720p. These drones are your starter drones for children and adults who are completely new to drones. These drones are good for learning the basics like flight control. 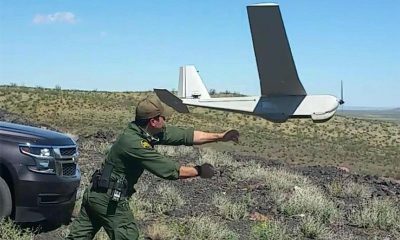 These durable drones can take a beating. 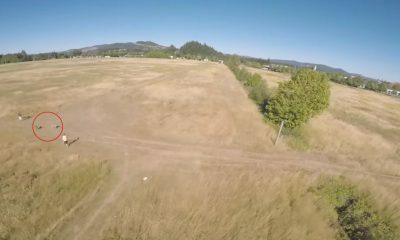 Anyone can use toy drones to get a taste of flying. You can fly both indoors and outdoors with these toy drones. If you are eyeing an expensive drone but don’t even have any experience with a UAV, then picking up one of these low priced toy drones can give you an idea of what to expect. There are numerous toy drones, so here is a list of the top five best drones that are $150 or less. This toy drone is the best toy drone you can get for only $119.95. It is a Wi-Fi drone that can output a live view straight to your phone via app. It can also do a 360 roll. The controller has an LCD telemetry data display. The Holy Stone can travel up to 164 to 328 feet. This also comes with two batteries. It has one key return to home dedicated button, and it works great both indoors and outdoors. It has a 2MP camera and a 720p video recording capability. This drone also comes with bright LED lights. You can also use this with a VR headset to get a FPV perspective. Once you let go of the control sticks, this toy drone can hover in place like a normal consumer drone. This placed #1 in the best drones list because of its durability, low price, and VR capability. 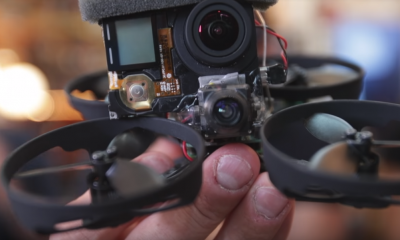 This WIFI FPV drone is designed to be safe and sturdy. The plastic is a high-quality ABS plastic, so there is room for flexibility. Built into the frame are the prop guards, so you don’t have to worry about hurting anyone with the U818A. It has a 720P HD camera that can shoot in 30 FPS, and you can get first person view straight from your phone via app. This can do some stunts like a 360 ° roll, and it has some safety features like low voltage warning. The U818A comes with two batteries, but the instructions warns to take a 10-minute break in between flights. The FPV range is good for up to 98 feet. This ranked #2 on the best drones list for toy drones because of its built in propeller guards and 720 HD camera. The Syma X5UW is easy to use 4 channel quadcopter equipped with a 720p HD camera. It comes in red or white, and it can fly approximately 7 minutes per battery. 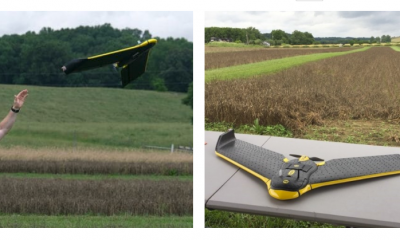 This toy drone also has a unique feature that resembles a professional drone; The X5UW has a flight plan mode that allows users to draw a route for the drone to follow. The camera is also rotatable. The controller has a dedicated photo and video button, and it has a button to make it do 360 rolls. If you fly this drone without a phone, then you get double the range because of Wi-Fi interference. An auto landing function kicks in the connection loses signal. It also has colorful LED lights for night flights. This also comes with prop guards for people that want to have a safer flight. This ranked at #3 in the best drones list for toy drones because of its low price, flight plane mode, and its overall quality. The battery is specifically for the X5UW model, so other Syma batteries won’t work. The X4 H502S is ready to fly GPS enabled drone toy drone. It comes with a controller that has a built in 4.3 inch LCD live view screen. The charging time for a battery is only 30 to 40 minutes. This drone supports a micro SD card for the 720p videos it can record. 60 Mbps bitrate is the video bitrate that this drone can shoot at. 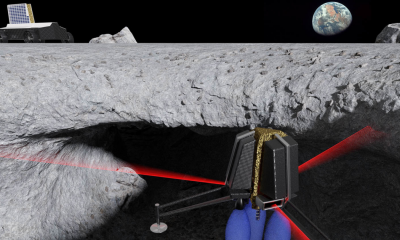 It can travel 0.12 miles, and it is lightweight. The video link uses A 5.8 GHz connection, while controller uses a 2.4 GHz connection for maximum efficiency. This also comes equipped with a follow me mode like a consumer drone. The follow me mode follows the controller, so you can get some decent shots for a toy drone. 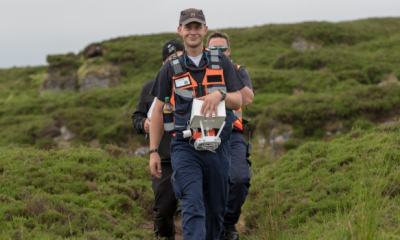 This drone has an auto return to home for lost connections. Another mode called altitude mode allows the pilot to maneuver the drone in any direction while maintaining a consistent height. This drone ranked #2 in the best drones list for toy drones because of the built in screen, GPS, and high-quality 720p video capability. Many people started on this drone, but this one is a slightly upgraded version. For a toy drone, this is priced low. This drone offers a realistic flight experience that resembles a consumer drone like a DJI Phantom. The Syma E5SC Explorers 2 is stable in flight and hovers great for a toy drone. It has prop guards for safety, and it has red and green LED lights on the bottom of the arms. 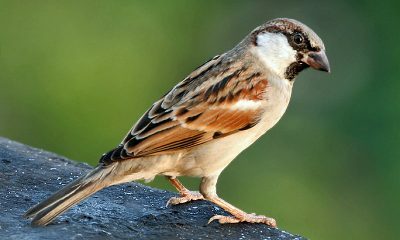 It can record videos and shoot photos with its 2 MP camera. 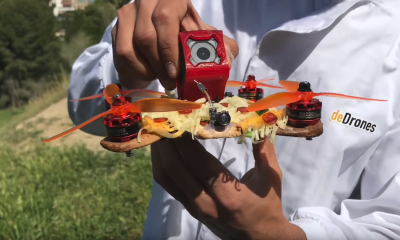 This drone can even do a 360° roll. This quadcopter is the perfect low priced practice drone to buy if you have zero experience with any quadcopters. The Syma E5SC Explorers 2 can operate on 4 different channels on its 2.4 GHz controller. It only takes an hour for the battery to charge. It has a small LCD display and dedicated photo and video switches. 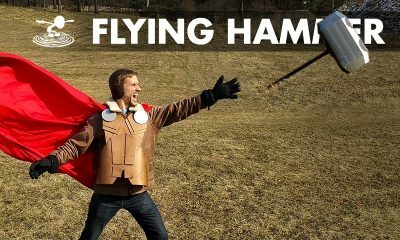 This drone has beginner and advanced flying modes. This drone placed #5 on the best drones list for toy drones because of its low price and DJI Phantom like flight.